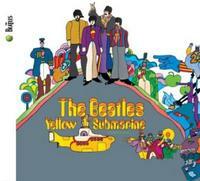 The classic original Beatles studio albums have been remastered by a dedicated team of engineers at Abbey Road Studios in London over a four-year period utilizing state-of-the-art recording technology alongside vintage studio equipment, carefully maintaining the authenticity and integrity of the original analog recordings. The result of this painstaking process is the highest fidelity the Beatles catalog has seen since its original release. Within each CD's new packaging, booklets include detailed historical notes along with informative recording notes. FOR A LIMITED TIME: Newly produced mini-documentaries on the making of each album, directed by Bob Smeaton, are included as QuickTime files on each album. The documentaries contain archival footage, rare photographs and never-before-heard studio chat from The Beatles, offering a unique and very personal insight into the studio atmosphere.